News round-up: VW announces new diesel and Skoda offers VAT cut | What Car? Volkswagen is adding a new 268bhp turbocharged 2.0-litre diesel engine to its line-up. The new unit is a development of an existing 2.0-litre diesel, but adds 14% more power and improves economy. It is expected to offer a similar level of torque as the 2.0-litre unit on which it is based. It is also 10bhp more powerful than the recently updated 3.0-litre V6 diesel, as found in the face-lifted VW Touareg. The new engine is expected to power a range of higher-level models, including the eventual production version of the Cross Blue SUV that is set to slot into the line-up between the Tiguan and Touareg. VW has also shown a new 10-speed DSG automatic gearbox, which is set to go into production in 2016. The outgoing version of the Skoda Fabia is being offered with significant savings because the company has announced a 'No VAT' offer. As a result, Fabia models are available with a minimum of a 20% discount. The offer even applies to the flagship vRS performance models, and the Monte Carlo and Black Edition versions. The entry-level model's list price starts at £9945, which is reduced to £7956 as a result of the offer. 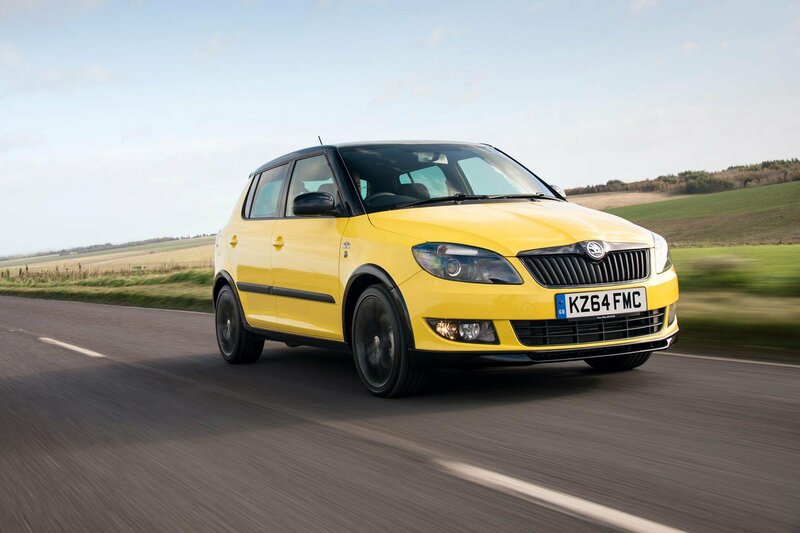 The vRS has a £2949 saving, making it £14,746.